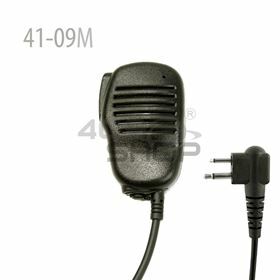 41-20 Speaker Microphone 2.5mm Headphone jack when discretion is required, cutting out the speaker. 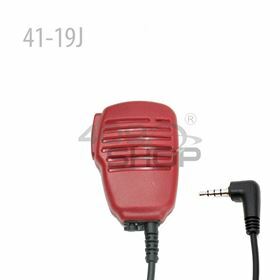 41-19 3.5mm Headphone jack Speaker Mic Red 3.5mm Headphone jack when discretion is required, cutting out the speaker. 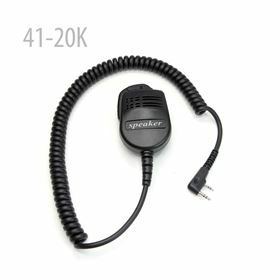 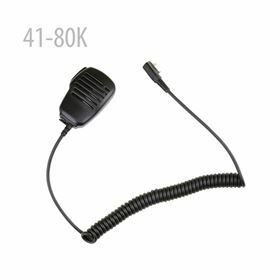 41-08 Speaker-mic Features: PRO- Speaker Microphone 3.5mm Headphone jack when discretion is required, cutting out the speaker. 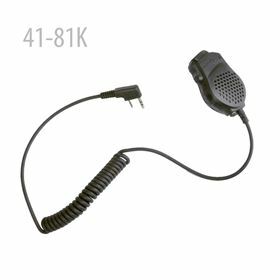 Speaker Microphone 3.5mm Headphone jack when discretion is required, cutting out the speaker.